On 26 and 27 October, the Red Square/Molotov Club organized the III Annual Conference with the support of Euro-Rus. The themes were very actual: free speech, economical situation in the World geopolitics and discussion about the most actual political and social issues. A number of the guests were permanent members but also we had many new attendees. There were representatives from Russia, USA, England, Donbass, Ukraine, Italy, Belgium, Brazil, Venezuela, Germany, Spain and many others. Remarkable this year was the presence of important people of the Russian communist party CPRF also as the German conservative party "Deutsche Mitte". The state of affairs with freedom of speech in Western countries and in Russia, media objectivity, information wars. Middle East crisis - Syria, Yemen, Kurdistan. The danger of escalation of the conflict. The crisis in Venezuela. Developments in South America. Trends in the political struggle in the United States. Developments in Southeast Asia, the South China Sea, trends and forecast of events. Anniversary of the liberation of Kharkov and the situation in Ukraine in 2018. Formation of an anti-war coalition of political and public organizations in the world. Also, the plan included: Economy solutions for the XXI century, strategic planning versus chaotic development. Among the speakers were invited: Robert Westerlund (Sweden), prof. Claudio Ribeiro (Brasil), Maria Kronsnest and Andreas Wisuschil (Germany) (not all of them could participate). Remarkable for all was Kristina Melnikova, the Russian journalist writing for Eurasia Daily, Sonia Metelkina for the Eurasian Mouvement, Larissa Shessler from the Union of Ukrainian political emigrants. The first day went on in the conference room of Hotel Tourist in Moscow. This is a simple but practical room. Pavel Zotov, member of the coordination committee of political-emigrants from Ukraine, opened the conference. Afterwards, Kris Roman, chairman of the geopolitical think-tank Euro-Rus, continued the opening of the conference. After the introduction several people gave a speech. The Russian TV channel REN-TV honored us with a visit. Humberto Carvaliu, Nudem Medeiros, Claudio Ribeiro from Brasil about the situation in South America and the danger of ultra-right regime of Bolsonaro in Brazil. The evening ended with a cozy drink at the hotel. During that day we had outstanding presentations of our new Colleagues from USA and Great Britain, the US peace activist Bruce Gagnon, the Coordinator of Global network against weapons in Space, that spoke about the danger of militarization of Space and threads of new wars, and Tushar Kumar, the organizer of "Second Wave publishing house" from London with his speech about the current situation about Brexit. The second day took place in the prestigious hall of the Isborsky Club (Moscow´s think-tank group). The conference room of this reputable high class Russian conservative think-tank is a beauty. This room is really tailor-made for this type of conference. On the second day Pavel Zotov also opened the conference, followed by Kris Roman. Again, various guests expressed their opinion. Donald Courter from USA about the development of the left and socialist movement in USA. Issues of Middle East crisis - Syria, Yemen, Iran. The danger of escalation of the conflict as well as crisis of information space concerning the Middle East, Refugees problem in Europe and another issues of unstable regions were deeply reflected in our Clubs' members and visitors' speaches. The most of the attention were given to the problematic of preparation of international terrorist in Ukraine, in the area of Kharkov. Such terrorists were send to EU and Syria after their training in Ukraine. Given that the organization contains people from the left and the right side, it was not illogical that sometimes there were heated discussions. The discussions were sometimes tough but were respectful. Our thanks go absolute to the Russian Anti-Maydan Movement and to the Isborsky Club. Our thanks go certainly to the organization. It is clear that before the conference started, they did already a great job to make everything fine. Without their contribution, the conference would have been different. The event resolved in the common understanding of necessity of international cooperation and solidarity against the growing danger of war and conflicts in different part of the World, against weapons' raсe and growing Neo-Nazism in many countries in Europe and both Americas. To combat the scenario of very much inhumane future, we call for international anti-war activists to join our initiative of creating the Global anti-war network. In order to implement in practice the process of international anti-war activism and another social and political progressive moves, we want to make another meeting of our Club in Moscow on the topic of "Restoration of capitalism in the USSR" as part of celebration of centenary of the Comintern in March 2 and 3-d of 2019. The organizing group, which other forces are joining the initiative. 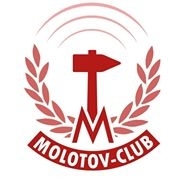 The idea of the seminar was proposed by the Second Wave Publications, London, to the Molotov Club, Moscow; as to a very broad anti-imperialist umbrella organization. 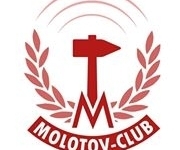 The entire organizational work including a draft program is being carried out by the Molotov Club. Of course they will welcome any suggestions from you. The Club, will be trying to contact various academics and political activists including the Department of Economics at the Moscow State University. These will be Russian and English and also German and Spanish translation will be provided. We would like to emphasize that the proposed seminar has no direct association with any ideological trend. The purpose of it, as far as the Second Wave Publications is concerned, is to try to unravel the origins and development of the process of restoration of capitalism in the USSR, which presents an outstanding problem for socialist revolution in the twenty-first century. From the side of Red Square/Molotov Club, we see this proposed meeting as the opportunity to link the celebration of 100 years of Comintern to our joint efforts of building the international anti-war and progressive network of activism.